Cancer or malignancy occurs due to an abnormal growth of human body cells. There are at least 100 types of cancer and symptoms will vary depending on the type. Traditional cancer treatment includes radiation, chemotherapy and surgery. There are many alternative treatment options available too which are said to benefit those undergoing cancer treatment. Some types of cancer occur more commonly than others. The most common is skin cancer with more than a million cases being diagnosed every year. Some common types of cancer are breast, bladder, colon, endometrial, kidney, pancreatic, thyroid and prostate cancer, leukemia, melanoma and non-Hodgkin’s lymphoma. Cancer affects every organ of the body and malignant tumors which start in one organ can quickly spread to nearby organs and tissues or enter the bloodstream. This means that the cancer is metastasizing and treatment then gets more difficult. Always consult your cancer specialist and keep them up-to-date about the various types of treatment options you wish to undergo. They will be able to advise you as to various interactions with conventional treatments. Also called Chinese wolfberries or Lycium barbarum, goji berry plants are evergreen, deciduous shrubs which grow in the sheltered Himalayan valley regions in Tibet, Mongolia, Nepal and subtropical and temperate regions of China, especially along the Yellow River. It belongs to the Solonaceae family of which the deadly nightshade, tomato, eggplant and potato are also a part. Goji berries are usually available in their dried form which resembles deep red raisins. The fruits are gently shaken off the vine when ripe, gathered in sheets and dried under controlled temperatures. 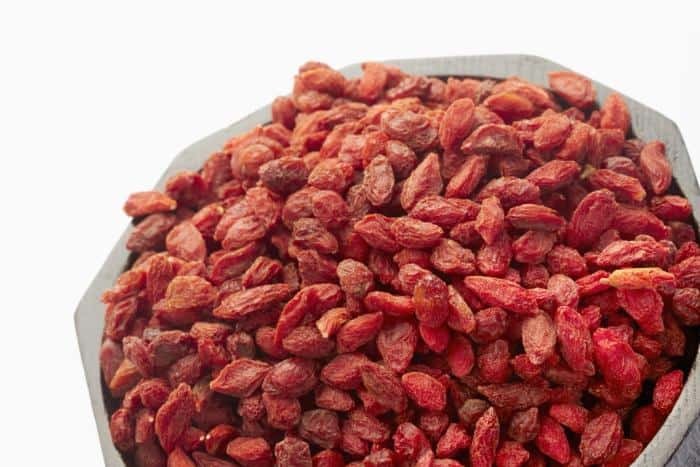 This slow-drying process retains the nutrients of goji berries and they have a longer shelf-life. Goji berries are rich in carotenoids like beta-carotene and zeaxanthin. The latter is known to protect the retina and prevent other eye disorders. There are also other antioxidants found in goji berries which are said to have anti-aging properties. Goji berries also contain 18 amino acids of which 8 are essential and which the body cannot produce. It also contains 21 trace minerals which include zinc, copper, iron, magnesium, selenium, manganese and phosphorous, vitamin A, C, E, B1, B2 and B6, essential fatty acids like omega-3 and omega6, and many anti-inflammatory, anti-fungal, and anti-bacterial agents. The ORAC scale which measures antioxidant levels in foods gives goji berries the number 1 rank. Goji berries can be made into tea, added to soups or salads and used in baking, to make trail mixes, smoothies etc. They have a tangy sweet and sour taste and can be substituted for raisins in many recipes. You can find goji berry products online, at Chinese herbal stores, through network marketing companies and health food stores. In one study conducted in 1994 on 79 cancer patients, it was found that they responded better to cancer treatment when goji berries were added to it. Some test tube studies have also found that the antioxidants in goji berries can prevent and reduce cancer cells from growing. 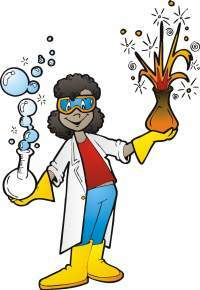 Physalin is a natural compound present in goji berries. Physalin can act against various types of leukemia. In studies on mice with tumor, it has increased the splenic killer cell activity. This is said to offer broad-spectrum anti-cancer benefits. Antioxidant selenium found in goji berries can provide cancer protection. Goji berries are said to have anti-estrogen effects. This means that tumor cells can be more vulnerable to immuno-therapy and radiation. Cancer cells are force to commit suicide and not proliferate. Two studies conducted in 2010 have found that polysaccharides which are present in goji berries can stop the growth of colon, gastric cancer cells and prostate cancer cells and cause their death. Breast cancer is one common form of cancer. Studies have found that polysaccharides found in goji berries can prevent breast cancer cells from growing and help them self-destruct. Although there is yet to be a strong link established between goji berries and their anti-cancer properties, for there has not been sufficient research on humans, using it along with conventional cancer treatment has shown promise for the antioxidant found in them definitely have cancer fighting properties. There has not been any extensive research on the benefits of goji berry for various health problems. The range of nutrients found in goji berries means that we can get the health benefits they offer. The right dosage depends on the age and health condition of each individual. It is always good to consult your doctor before taking goji berry since there could be reactions with medications taken by diabetic and high blood pressure patients. Those who are taking blood thinning medications like warfarin cannot take any form of goji berry since there could be an increase in bleeding. Those with pollen allergies also need to avoid these fruits. It is unknown of goji supplements offer the same benefits as dried goji berries or pure goji juice.